Do I Have To Pay Child Maintenance and The Mortgage? As a Manchester divorce solicitor I get asked the question ‘do I have to pay child maintenance and the mortgage’ on a lot of occasions. People want to know where they stand financially if they are contemplating a separation or divorce or are thinking about leaving the family home. The answer to the question ‘do I have to pay child maintenance and the mortgage’ all depends on your housing circumstances and financial position. Giving expert divorce solicitor advice depends on carrying out the right fact finding to give the correct legal answer. That is because resolving financial claims on separation or divorce is a bit like putting a jigsaw together, you can’t look at one piece in isolation to the rest of the picture. Do you own the family home either in your sole name or jointly with your ex-partner? Are you married to your ex-partner or in a civil partnership or were you in a cohabiting relationship? Are the children your biological children or your step children? Are you named on the mortgage, either as a party to the mortgage document or as a guarantor to the mortgage? Is any member of your family a guarantor to the mortgage? Is there a cohabitation agreement or deed of trust or prenuptial agreement that sets out what should happen if you separate from your ex-partner in relation to who keeps the family home and who pays the outgoings and mortgage on the family home in the event of your separation? Have you or your ex-partner left the family home already? If so, are you paying rent and what is the amount of the rent? Is the mortgage an interest only mortgage or is it a repayment mortgage? Are there any linked endowment policies? Are you already paying child maintenance under an assessment by the child maintenance service? Are you already paying spousal maintenance to your estranged husband or wife on a voluntary basis or under a court order? How much are the mortgage payments? Would the mortgage company agree to a mortgage holiday without your credit rating being affected? How much is your income and how much is your ex-partner’s income? What are your current financial commitments and essential expenditure? You can see from this long list of questions that the answer to whether you should pay both child maintenance and the mortgage isn’t always straight forward. The answer will depend on the status of your relationship, the way you own the family home and your financial situation. If you are a joint or sole owner of the family home and your name is on the mortgage deed then if the mortgage isn’t paid then this could affect your credit rating. That applies whether or not you are living at the family home or have moved out. When you decide to separate or divorce it is important to maintain your credit rating as the mortgage company may not agree to the mortgage on a jointly owned family home being transferred out of joint names into one partner’s name if there are or have been mortgage arrears. Equally if you can’t get the family home transferred into your ex-partner’s name and your name released from the mortgage then you may find that you can’t get another mortgage company to offer you a new mortgage to buy a new property. 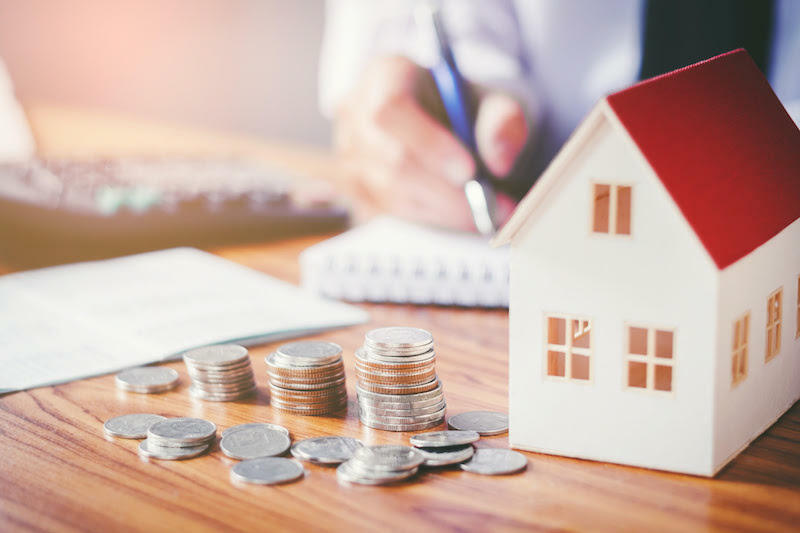 The long term implications of souring your credit rating mean that it is essential that both you and your ex-partner think about the potential long term consequences of not agreeing who will pay the mortgage on the family home. If you are paying child support under a child maintenance service assessment you may think that your child support payments should cover the cost of the mortgage on the family home as well as gas, electricity, food for the children and their clothes. If you aren’t married to the child’s parent and the family home is owned in their sole name (rather than in joint names or your name) then all you are legally obliged to pay is the child support amount. With most legal answers from a Manchester divorce solicitor there is a caveat; if you are a high earner your ex-partner could apply for top up child support from the court or they could apply to court on behalf of the child for housing help. If you are married to the child’s parent and the family home is owned in their sole name (rather than in joint names or your name) then if the child support payments aren’t enough to cover the mortgage payments and other household bills then your spouse or ex-spouse could apply to court for spousal maintenance . This type of maintenance can be paid on a short or long term basis. To make a decision on whether spousal maintenance should be paid the court would look at both of your incomes and reasonable outgoings and your respective needs. If you are paying child support for your child under a child maintenance service assessment but you are also paying the mortgage on the family home that you used to live in with your ex-partner then provided that your ex and the child are still living at the family home you can ask the child maintenance service to carry out a special expenses variation to reduce the amount of your child maintenance service assessment. The variation application will only work if you don’t have any legal or beneficial interest in the property. I have only touched on a few potential scenarios and answers to the question ‘do I have to pay child maintenance as well as the mortgage‘. It just isn’t possible to give an expert answer to ‘do I have to pay child maintenance as well as the mortgage’ without all the relevant facts relating to your personal and financial circumstances. When you are looking at sorting out your finances after a separation or divorce it pays to take expert legal advice from Manchester divorce solicitors as I have often found that people either pay too much in financial support (resulting in their ex-partner being unwilling to move on and sell the family home) or too little (resulting in court applications for spousal maintenance and contested financial claims). Taking expert legal advice from a Manchester divorce solicitor will help you get the balance right in deciding whether you should pay both child support and the mortgage.